Yes, an actual aquarium. Clever title for a Monday morning. That's the latest undertaking in the Werit household. It was the wifes idea, which I am am not fully on board with. We have too many other things to take care of, but I digress. I figure if we are going to do this, we're going to do it right. That means going saltwater. It's a lot of extra work, but we have a local pet store that will take care of a lot of the mundane details. 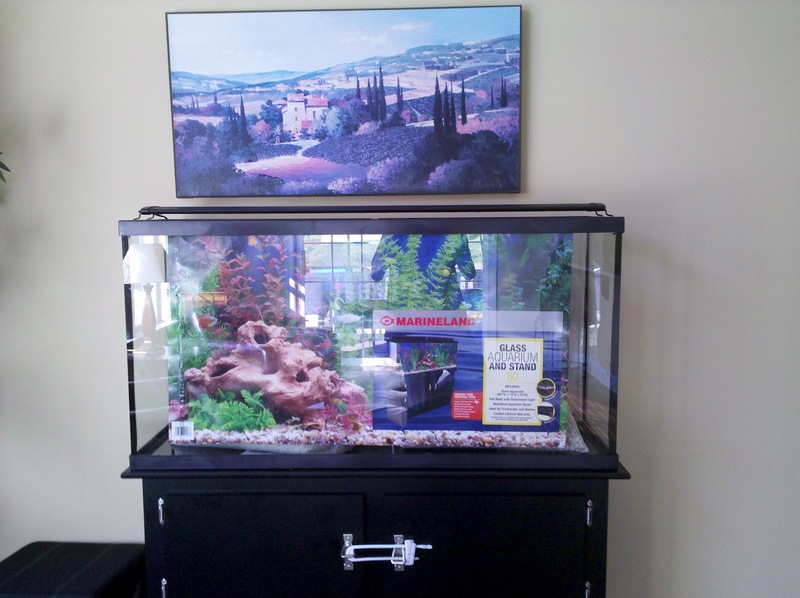 First step: Get Aquarium. 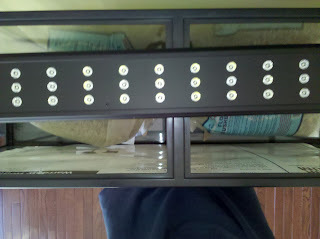 It's an LED lighting system. 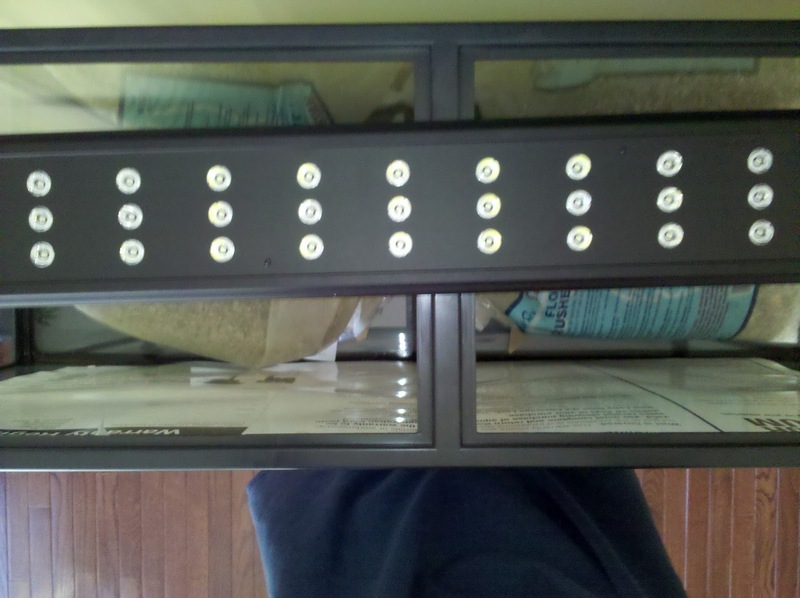 Specifically, the Marineland Reef Capable LED Lighting System. It puts out around 3,340 lumens and since it is LED runs much cooler. 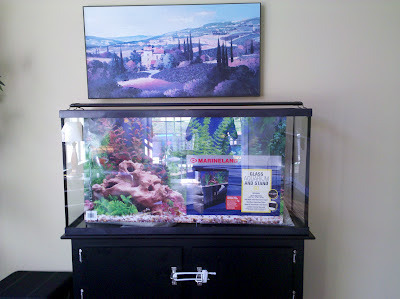 It also adds Geek cred to the tank at least until I get my remote controlled submarine with a camera.... some day. Right now we are waiting for the Live Rock to get in. It's being cleaned and cured prior, so we should be good to go to get water and rock in the tank this week. Then, if we are lucky, we may be able to talk about fish next week.